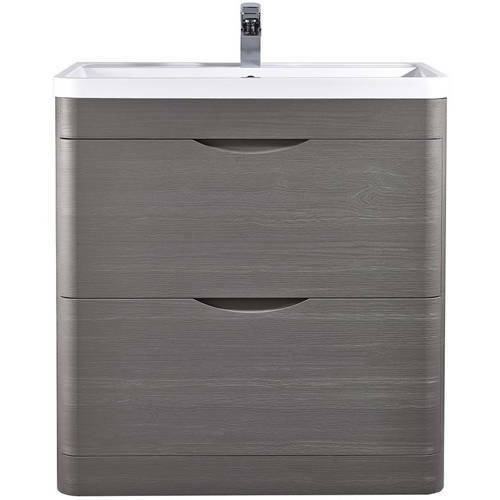 Premier Eclipse > 800mm Vanity Unit Pack 2 (Grey Woodgrain). Premier Eclipse vanity unit pack 2 in midnight grey woodgrain finish with 800mm vanity unit, basin and 550mm back to wall WC unit. Floor standing design with curved corners. Polymarble basin (1 tap hole). 2 x Soft close drawers. 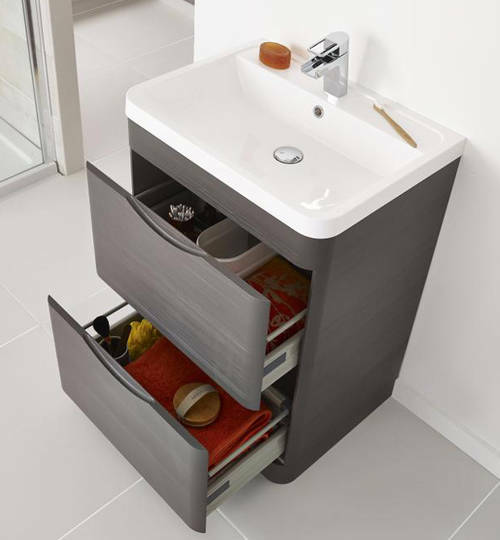 High quality, extremely durable bathroom furniture. Suitable for use with BTW toilet pans. Vanity unit size: 796W x 800H x 445D mm. 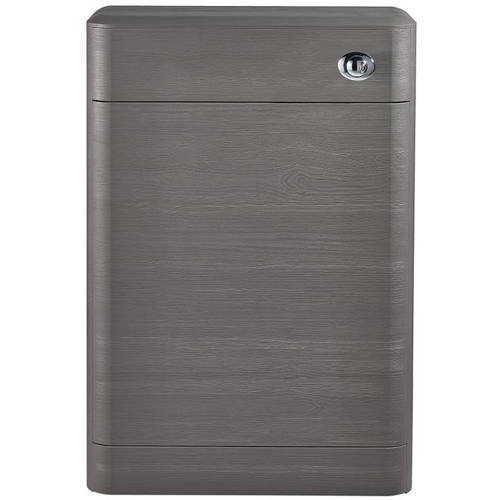 WC unit size: 550W x 800H x 200D mm. 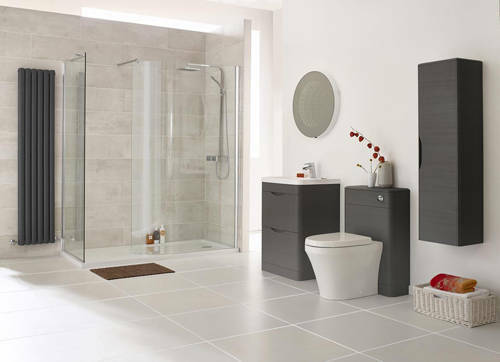 5 Year guarantee: Premier guarantee their Eclipse bathroom furniture units for 5 years. 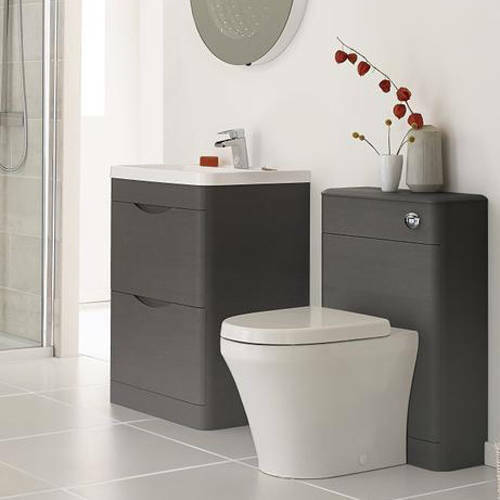 Premiers new Eclipse range of bathroom furniture features soft lines, modern sophisticated design and gentle curves with an integrated handle, complemented with a curved sleek white basin. Premier pride themselves on offering great quality products at prices that are hard to beat. For even greater value, they have now introduced bundles for their popular bathroom furniture collections offering the complete package at a reduced rate.